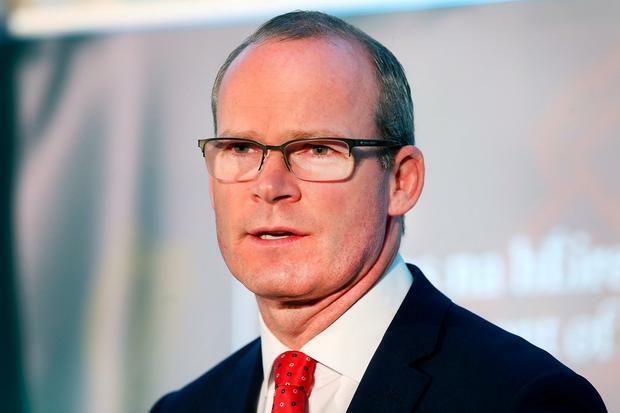 TÁNAISTE Simon Coveney is to raise concerns that nuclear waste could be stored in the Mourne Mountains in a meeting with UK Northern Ireland Secretary Karen Bradley. It comes after fears were raised in the Dáil that the Co Down mountain range is being considered for a radioactive waste storage facility. It is among five sites in Northern Ireland and dozens across the UK put forward as possible locations by the State-owned organisation Radioactive Waste Management. Green Party leader Eamon Ryan asked what contact the Government has had with UK authorities on the proposals and what measures would be taken to protect the people of neighbouring Co Louth. He said: "This material is there for millennia. What, if anything, are we doing about that?" Louth Independent TD Peter Fitzpatrick said "fear is spreading rapidly" in his home county that the UK government is considering the location. He said: "We must nip this in the bud straight away," and appealed to Taoiseach Leo Varadkar and Mr Coveney to intervene. "We had Sellafield for years. The last thing we want… is to have hazardous waste in the Mountains of Mourne beside us," he added. Mr Coveney said: "We are aware of this story and are following it closely with some concern." He said he was meeting Ms Bradley this week and would "certainly raise the issue with her. I think we need more details in relation to it."